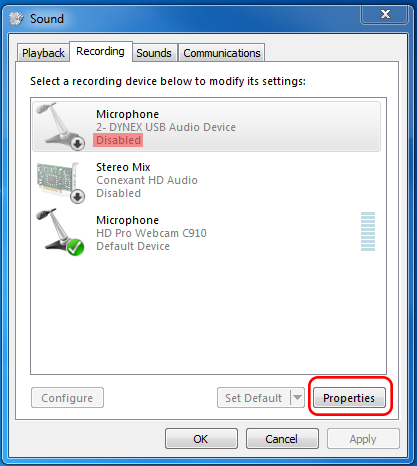 If you have a successful connection with your participant or host, but one person's video, audio, or microphone are not working. If your speakers are not working, you will not be able to hear your participant, but they will be able to hear you. If your microphone is not working, you will be able to hear your participant, but they will not be able to hear you. 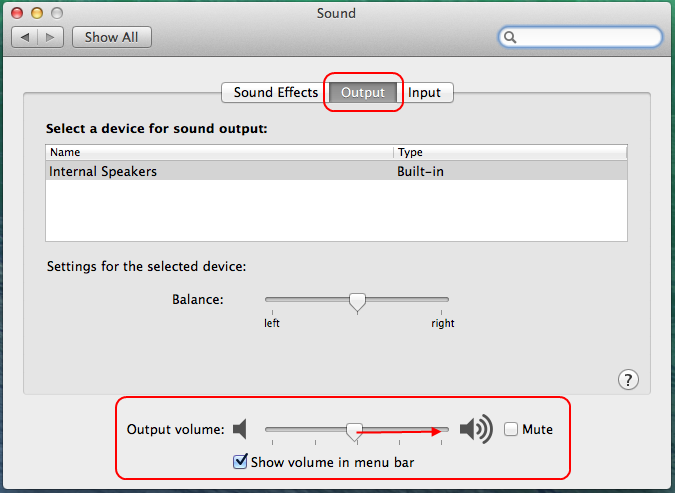 NOTE: If you are using a Mac and can hear your participant but cannot see their video tile (or vice versa), see this article first. The correct equipment is not selected. The correct equipment is being used by another program. The preferred equipment is not working properly. The correct equipment is not being detected by your computer. The easiest thing to check first is whether or not you have the correct device selected. If your equipment is being used by another program, that may affect our program's ability to use it. Close any other programs that may be using the equipment you want, and then relaunch your session. On a Mac computer, you can check your Activity Monitor for the process VDC Assistant. For more instructions on this, see our article on ending active processes on a Mac, but in Step 4, replace "VSee" with "VDC Assistant". Here are some tests to see if you may be having a hardware issue. 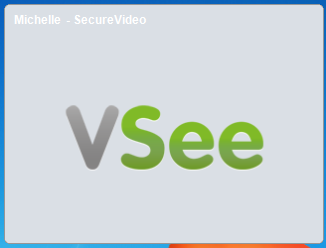 To test your camera, search for "webcam test" in your preferred search engine. 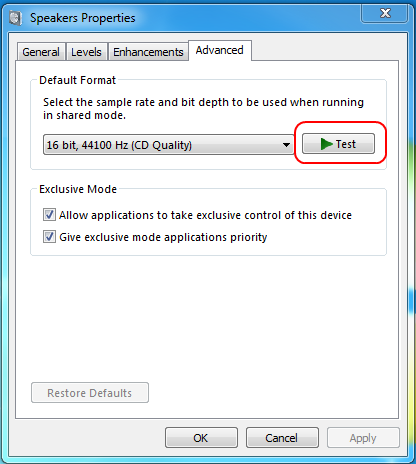 Click here for instructions on how to test your speakers on a Windows computer. 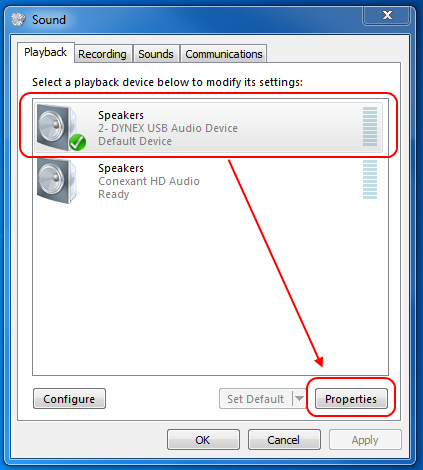 Click here for instructions on how to test your speakers on a Mac computer. 1. 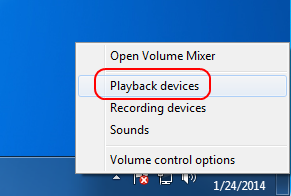 Right-click on the volume icon on your taskbar (to the left of the date and time display), and select Playback devices. 2. 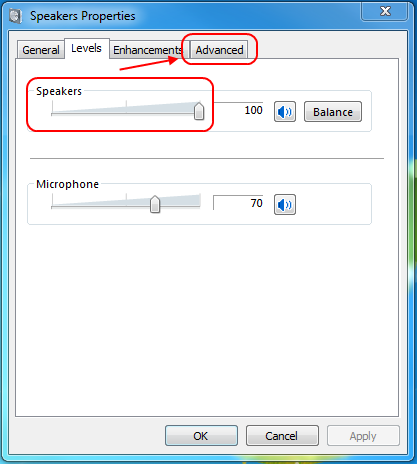 Choose the set of speakers you want to test, and then click on the Properties button. 3. 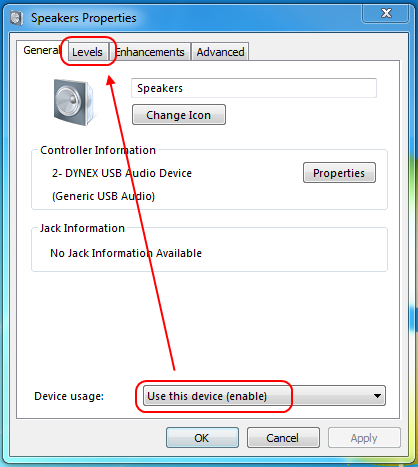 Check the bottom of the window to be sure that the device is enabled, and then click on the Levels tab. 4. Check that the volume level is appropriate (and definitely greater than zero!) and then click on the Advanced tab. 5. Click on the Test button. If you hear a sound, your speakers are working normally. If you do not hear a sound, review the next section to make sure these speakers are being detected by your computer. 1. 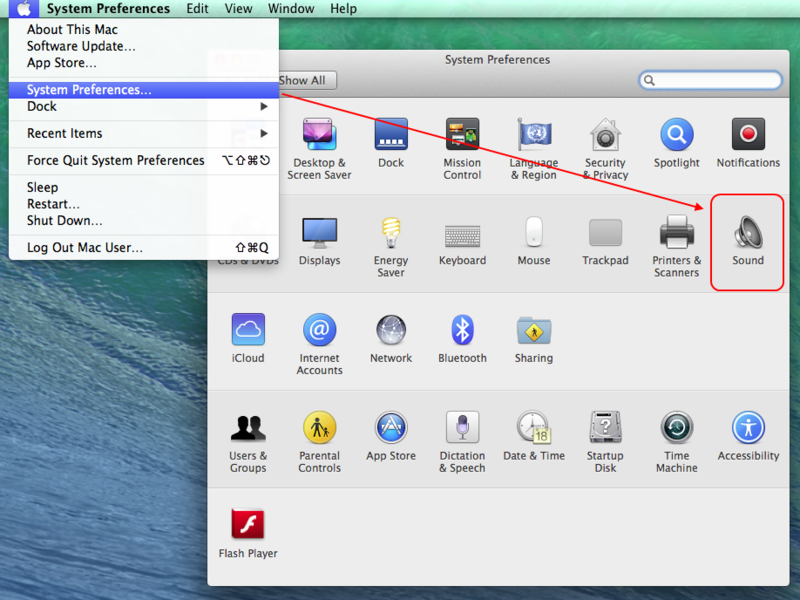 Click on the Apple icon and then select System Preferences... 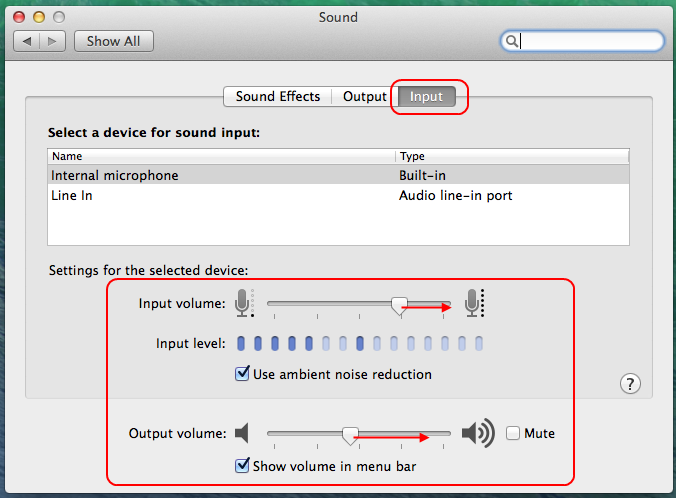 When the System Preferences menu pops up, click on the icon for Sound on the right-hand side. 2. On the Sound menu, click on the Output tab along the top. With your preferred device selected, make sure that the Output volume is not all the way to the left or on Mute; drag the little indicator-icon to the right to increase the volume (or use the buttons on your keyboard). If you do not see your selected device or this has not helped, see the next section to make sure your computer is detecting your device. 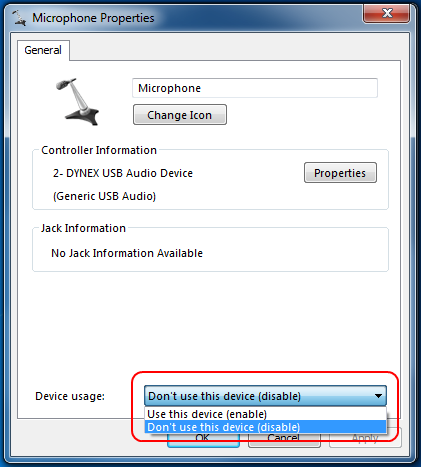 Click here for instructions on how to test your microphone on a Windows computer. Click here for instructions on how to test your microphone on a Mac computer. 1. 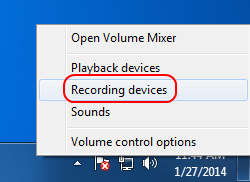 Right-click on the volume icon on your taskbar (to the left of the date and time display), and select Recording devices. 2. 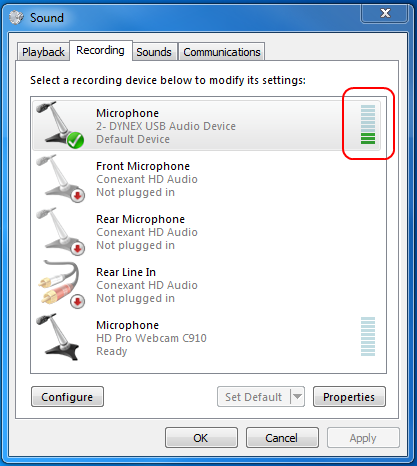 Look to the right of the microphone device you want to use, and then speak or tap on the microphone to see if the panel lights up with green lines. This indicates the device is registering sound and working. If you do not see an lights, read the next section to confirm that your device is being detected properly by your computer. 4. If your preferred device is disabled, it should now appear with a "Disabled" status (highlighted below in red). To renable a disabled device, click on your preferred device, and then click on Properties. 5. At the bottom of the window, next to "Device usage", select Use this device (enable). Then click OK to save. If after your device is enabled, it is still not registering input (moving green lines), then review the next section to make sure your computer is properly detecting this device. 2. On the Sound menu, click on the Input tab along the top. With your preferred device selected, make sure that neither the Input volume or the Output volume is all the way to the left or on Mute; drag the little indicator-icon to the right to increase the volume. If you do not see your selected device or this has not helped, see the next section to make sure your computer is detecting your device. This can happen if your computer has an out-of-date or incorrect driver installed. If you have a Windows computer, click here for instructions on checking for outdated or missing drivers. If you have a Mac computer, click here to go to the Apple Store for instructions on software updates. 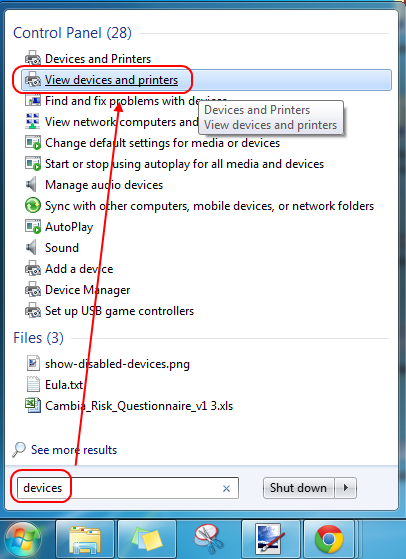 If you have a Windows computer, search for "devices" from your Start menu, and then click View devices and printers. It should open an explorer window showing all the connected devices that your computer was able to identity. 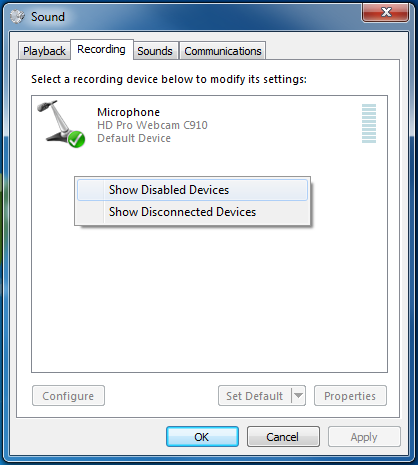 If you do not see your device listed, but it was detected through the videoconferencing application, then you have an incorrect driver. Check the manufacturer's website, and/or search online for the correct driver for your device and operating system. 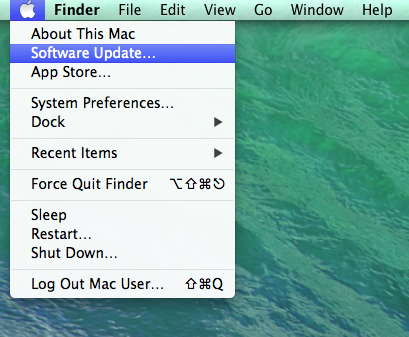 If you have a Mac, Apple handles all the system and driver updates for your computer. Just click on the Apple icon and choose Software Update... to open up the App Store and see what updates are available for download.